~ Hercule Poirot, who, having appeared in 1916 in Christie’s first published novel, The Mysterious Affair at Styles, is marking his one hundredth birthday. A series of literary events–Agatha Christie Birthday Celebrations: Marking 100 Years of Creativity–is in progress, including those in Torquay, where Christie was born, and in Wallingford, where she lived at Winterbrook House from 1934 to her death in 1976. Closed Casket, Sophie Hannah’s second Hercule Poirot novel, was released on September 6th, just in time for Hannah to take part in the festivities, including a book signing at Christie’s holiday home, Greenway. And BBC One will produce seven more adaptations of Christie’s works. Austin Mystery Writers, alas, couldn’t attend the festivities in England, so we celebrate here in our own small but sincere way–by letting the Queen of Crime speak for herself. *The best time to plan a book is while you’re doing the dishes. *Many friends have said to me, ‘I never know when you write your books, because I’ve never seen you writing, or even seen you go away to write.’ I must behave rather as dogs do when they retire with a bone; they depart in a secretive manner and you do not see them again for an odd half hour. They return self-consciously with mud on their noses. I do much the same. *All I needed was a steady table and a typewriter…a marble-topped bedroom washstand table made a good place; the dining-room table between meals was also suitable. *Plots come to me at such odd moments, when I am walking along the street, or examining a hat shop… suddenly a splendid idea comes into my head. *Every murderer is probably somebody’s old friend. *There’s no agony like [getting started]. You sit in a room, biting pencils, looking at a typewriter, walking about, or casting yourself down on a sofa, feeling you want to cry your head off. *One problem is that the interruptions are generally far more enjoyable than writing, and once you’ve stopped, it’s exceedingly difficult to get started again. *One’s always a little self-conscious over the murderer’s first appearance. He must never come in too late; that’s uninteresting for the reader at the end of the book. And the dénouement has to be worked out frightfully carefully. *I myself always found the love interest a terrible bore in detective stories. Love, I felt, belonged to romantic stories. To force a love motif into what should be a scientific process went much against the grain. *God bless my soul, woman, the more personal you are the better! This is a story of human beings – not dummies! Be personal – be prejudiced – be catty – be anything you please! Write the thing your own way. We can always prune out the bits that are libellous afterwards! *I know nothing about pistols and revolvers, which is why I usually kill off my characters with a blunt instrument or better with poisons. Besides, poisons are neat and clean and really exciting… I do not think I could look a really ghastly mangled body in the face. It is the means that I am interested in. I do not usually describe the end, which is often a corpse. *If I were at any time to set out on a career of deceit, it would be of Miss Marple that I should be afraid. *Three months seems quite a reasonable time to complete a book, if one can get right down to it. *I am like a sausage machine. As soon as [I finish a novel] and cut off the string, I have to think of the next one. *When I re-read those first [detective stories I wrote], I’m amazed at the number of servants drifting about. And nobody is really doing any work, they’re always having tea on the lawn. *I’ve always believed in writing without a collaborator, because where two people are writing the same book, each believes he gets all the worry and only half the royalties. *It is a curious thought, but it is only when you see people looking ridiculous that you realize just how much you love them. *If one sticks too rigidly to one’s principles, one would hardly see anybody. *I married an archaeologist because the older I grow, the more he appreciates me. *What they need is a little immorality in their lives. Then they wouldn’t be so busy looking for it in other people’s. *A man when he is making up to anybody can be cordial and gallant and full of little attentions and altogether charming. But when a man is really in love he can’t help looking like a sheep. *Mr. Jesmond made a peculiar noise rather like a hen who has decided to lay an egg and then thought better of it. *Coffee in England always tastes like a chemistry experiment. *I know there’s a proverb which that says ‘To err is human,’ but a human error is nothing to what a computer can do if it tries. *I can’t imagine why everybody is so keen for authors to talk about writing. I should have thought it was an author’s business to write, not to talk. *People should be interested in books, not their authors. *If anyone is really determined to loan you a book, you can never get out of it! *I’ve got a stomach now as well as a behind. And I mean – well, you can’t pull it in both ways, can you? … I’ve made it a rule to pull in my stomach and let my behind look after itself. *Writing is a great comfort to people like me, who are unsure of themselves and have trouble expressing themselves properly. *I would like it to be said that I was a good writer of detective and thriller stories. Who’s your favorite mystery author? A Sister in Crime recently posed that question. Agatha Christie / Donna Leon / Josephine Tey / Margery Allingham / Ngaio Marsh / Ruth Rendell / Mary Roberts Rinehart / Sarah Caudwell / Sophie Hannah / Ellis Peters / Elizabeth Peters / Elizabeth George / Dorothy L. Sayers / Patricia Highsmith / Minette Walters / Mary Willis Walker / Kaye George / Terry Shames / Karin Fossum / Cammie McGovern / Laura Lippman / Anne Perry / Ann George / Joan Hess / Faye Kellerman / Daphne DuMaurier / Carolyn Keene . . .
That’s typical. When asked to choose a favorite, I come down somewhere between wishy-washy and overwhelmed. There are so many writers whose books I enjoy, each for a different reason. I like Josephine Tey for her ability to keep readers feverishly turning pages of a mystery in which there’s not even a hint of murder. I like Sarah Caudwell for her wit and for her erudite narrator, Professor of Medieval Law Hilary Tamar, who couldn’t solve a crime if the answer jumped up and bit her. I like Donna Leon for her vivid depiction of Venice, and for Commissario Guido Brunetti, increasingly cynical about the possibility of dispensing justice in a corrupt society, who finds refuge in his home and family. I like Ruth Rendell for her complex and amazingly tight plotting, and her ability to drop in one more revelation when the reader thinks all questions have already been answered. I like Daphne DuMaurier for–well, for the reasons everyone else likes her. My Sister, however, pressed me to give her only one name. The reason? She had an idea for a SINC ~ Heart of Texas Chapter (HOTXSINC) program focusing on a mystery author, a celebration of that writer’s life and work. To that, the answer was both immediate and obvious: P. D. James, acknowledged by both critics and readers as the premier writer of mysteries in the English language. I like James for her complex plots, and for characters so fully realized that their lives seem to extend beyond the pages of the book. I like her because she plays fair with the reader, hiding clues in plain sight. I like her for her clean, elegant prose and her literary style. James feels no need to start with a murder on page one, but takes her time, introducing characters, establishing relationships, orienting the reader in time and place. Her pace is leisurely, and the reader who tears through a James novel, intent on learning the identity of the villain and moving on to the next title on his To-Be-Read stack misses half the pleasure her mysteries offer. In addition to the skill and stature that make James a perfect choice for HOTXSINC’s program is the fact that a television adaptation of her latest novel, Death Comes to Pemberley, based on Jane Austen’s Pride and Prejudice, is scheduled for airing on PBS Masterpiece Mystery! at the end of October. Finally, there’s the fact that on August 3rd of this year, James celebrated her ninety-fourth birthday. The birthday of a favorite mystery writer certainly merits a party. The Sister who came up with the idea for the celebration is Sarah Ann Robertson, past president and treasurer/membership coordinator for HOTXSINC. As is only fair, since it was her idea, I asked her to coordinate it. As always, she’s done an excellent job. The program will feature presentations by members on James’ life and work, including Youtube videos of interviews with the author. Special guests Maria Rodriguez, Director of Programming for KLRU-TV, will present an overview of KLRU/PBS “Mystery!”, based on mysteries by female authors, and Linda Lehmusvirta, KLRU Senior Producer for Central Texas Gardener and a P. D. James enthusiast, will speak about P. D. James’ televised mysteries on KLRU/PBS. After the program, members and guests will be treated to a traditional afternoon Texas-style English tea. The celebration will take place at Recycled Reads, 5335 Burnet Road, Austin, TX 78756, from 2:00 to 4:00 p.m., on Sunday, September 14. The meeting is free and open to the public. For a bibliography of P. D. James’ publications, click here. 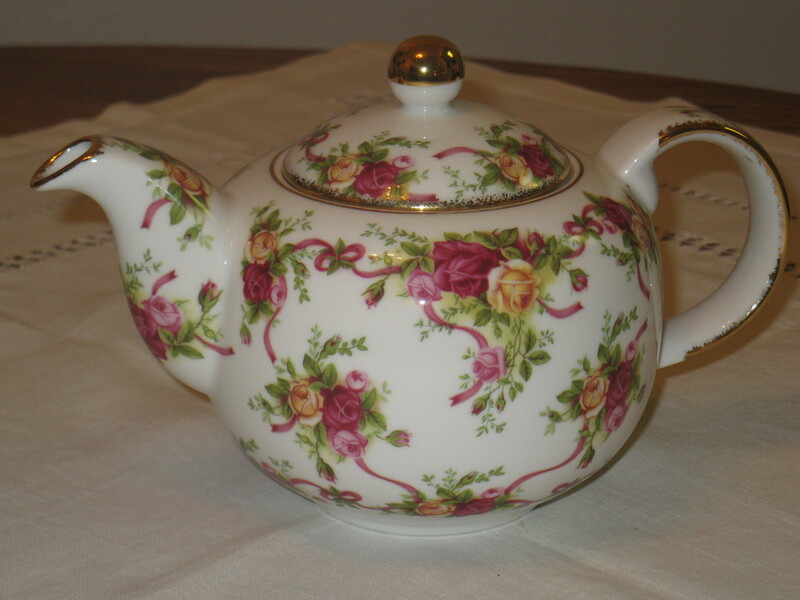 To read about the traditional English afternoon tea, click here. Kathy Waller blogs at To Write Is to Write Is to Write (kathywaller1.com).